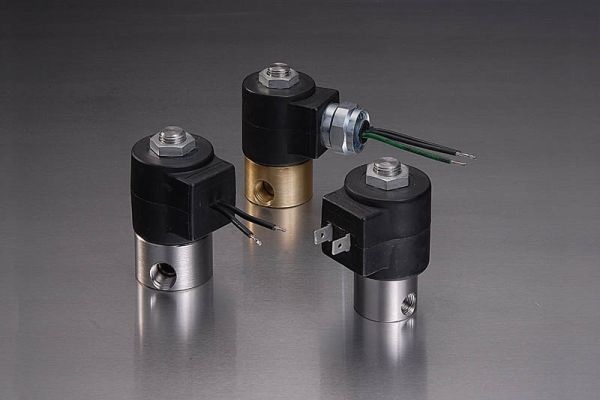 Miniature 2 Way Solenoid Valves – Solenoid Solutions Inc.
Generally speaking, a solenoid valve is an electromechanical device that enables an electrical device to control the flow of a gas or liquid. The purpose of a solenoid valve is to shut off, release, dose, distribute, or mix fluids. Two-way solenoid valves have one inlet and one outlet port, and they are used to permit and shut off fluid flow. The parts of 2 way solenoid valves that maintain their major function are the stopper, spring, solenoid, and metal bar. The fluid enters the solenoid through the inlet, which is typically closed, thanks to the stopper, which effectively seals the valve. The stopper is controlled via a metallic spring, which is attached to the metal bar with a pin that is close to the solenoid. When power passes through the coil, the resulting magnetic field pulls the pin, which then pulls back the stopper, allowing for the flow of fluid into the valve. When the power is off, the stopper falls back onto and seals valve’s inlet. Two-way solenoid valves have stoppers on both the inlet and the outlet, making the ports interchangeable. However, the pressure level differs between the inlet and outlet, with the inlet typically having the higher pressure. Without this pressure difference, the fluid would not flow. The port pressure can easily be controlled so that the direction of the flow is controlled as well. Heavy-Duty 2 Way Solenoid Valves – Solenoid Solutions Inc.
Common applications of 2 way solenoid valves include beer brewing, hydroponics, air cannons, sprinklers, and air blasters. Two-way solenoid valves have a few advantages. One is their electricity consumption, which is very low. Due to the coil’s low wattage, consumers experience less of a power drain. 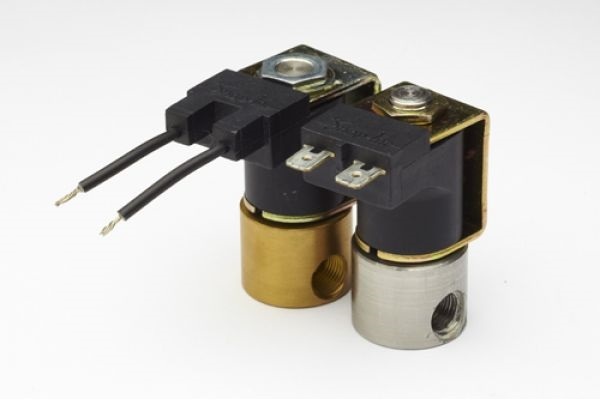 Another advantage of 2 way solenoid valves is that they are compact and economical. Also, valves are manufactured to have a leak-proof internal structure. Operators use these strong valves to control the flow of hot water, low-pressure steam, air, and non-corrosive fluids. A well kept 2 way solenoid valve will have a long life, making it a good investment that allows for a high flow capacity and resiliency in the face of demanding fluid control applications. 2 Way Solenoid Valves A 2 way solenoid valve is a type of electromechanical device that allows air or liquid to flow through it when it is electrically activated or deactivated.